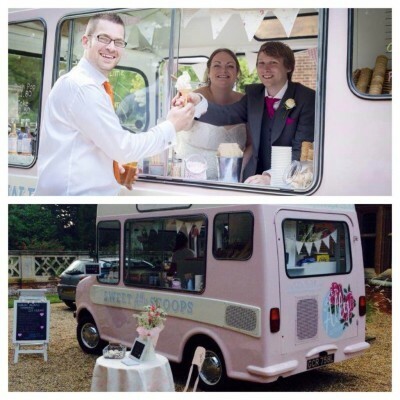 I often get asked by brides when the best time would be for me to serve my ice cream at their wedding. I like the bride to have the final say but am always happy to offer suggestions based on the type and theme of the wedding. I also want the happy couple to have an enjoyable stress free day and not to feel constrained by wedding etiquette. 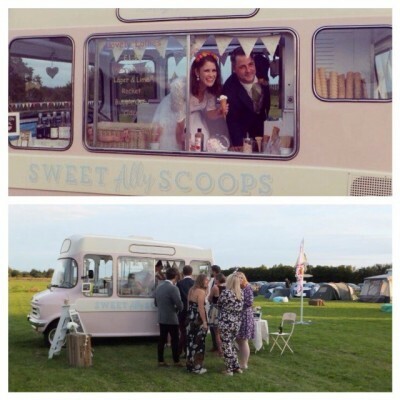 Last year I was booked for two very different weddings, but both had every guest enjoying some delicious ice cream! Stephen and Katie celebrated their wedding at the beautiful Lanwades Hall a delightful Tudor style country manor house which also happens to be the home of The Animal Health Trust. 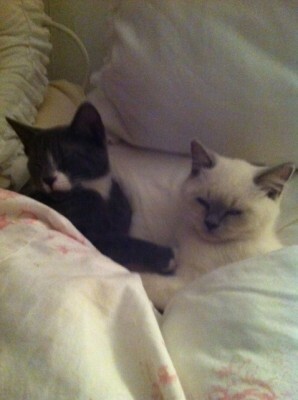 All funds raised from weddings at Lanwades Hall go back to the animal charity. My mischievous cat has been treated at the animal trust twice in the last couple of years, both times for a serious eye injury. The vets and trust staff are amazing, so I was excited to be booked for a wedding at Lanwades! Stephen and Katie had a very traditional wedding at Lanwades Hall followed by an evening reception. Katie wanted me to be at the evening reception at 7pm to serve the guests before the dancing commenced!! 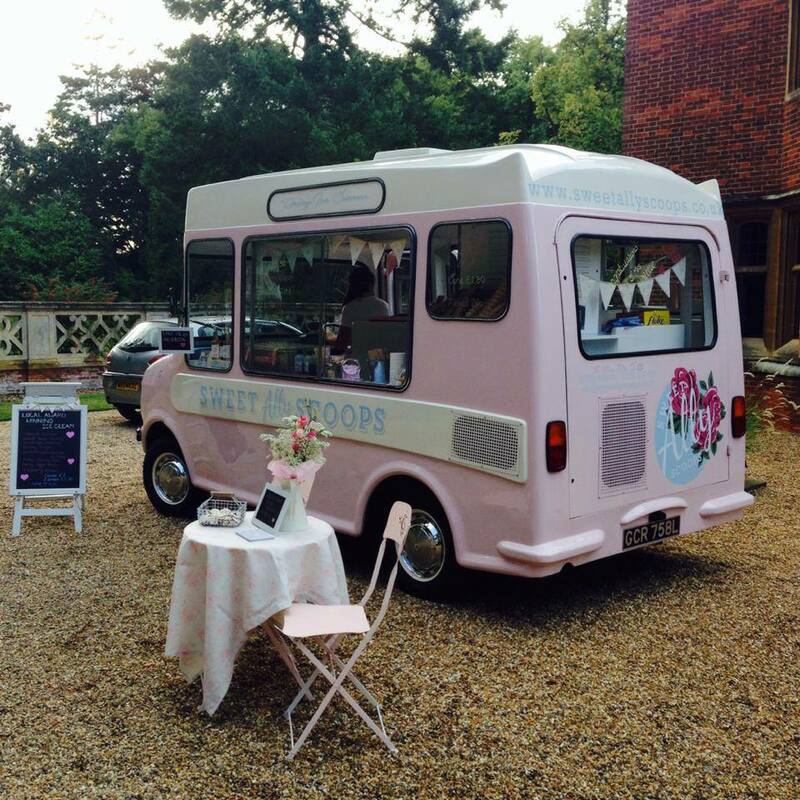 Lottie was loved by all the guests and the ice cream was a huge hit. I usually serve for 2 hours at a wedding and by 8.30 the light started to fade but Lottie has inside lights which look so pretty. By 9pm everyone had received their ice cream which meant it was time for them to drink and dance the night away and time for Lottie and I to head home! Emily and Stuart decided on a festival themed wedding. A Wedfest! Glastonbury in the Fens! Held in a large field beside Emily’s parents’ house, Lottie felt right at home amongst all the bunting and hay bales and a beautiful marquee. Guests enjoyed fish and chips followed by my ice cream as dessert. It was such a lovely location and a really relaxed atmosphere. After ice cream some guests drank and danced whilst others sat on hay bales around an amazing fire pit. A lot of the guests brought their own tents to sleep in after the celebrations. I pootled home waving my glow stick! !